Hoffer flow systems have been employed on street cleaning equipment commonly referred to as street flushers right here in our home state of North Carolina. In fact, we are proud to say that we help keep the streets of the City of Greensboro, NC clean because Hoffer turbine flowmeters accompany these street flushers to provide this valuable service. To be more specific, the City of Greensboro uses street flushers for cleaning city streets. The manufacturer of these street flushers, located in South Dakota, builds equipment for road maintenance worldwide. This manufacturer has a network of dealers throughout the world including a dealer in Statesville, NC. Through this dealer and a Hoffer representative the City of Greensboro was able to find the perfect solution for keeping their streets clean. It was first determined that a dependable, robust flow system was the primary goal. Cost was also a significant consideration for the user. They did not want to pay for accuracy that was not needed. The benchmark for accuracy was defined as ±1%. The flow system would be used for billing customers for the amount of water used in the street cleaning process, thus a rugged flow system that provided for ±1% accuracy and was economical, was ultimately selected for the application. To address this need, Hoffer recommended low cost turbine flowmeters from the STAR Series. Two meters were needed per each street flusher. The user wanted the two outputs to be fed simultaneously to one totalizer. The Hoffer Flowstar provided the solution for this requirement. The flowmeters in the STAR Series are constructed of 316 stainless steel and were provided with the hard carbon composite sleeve type bearing to ensure long term life for the water application. 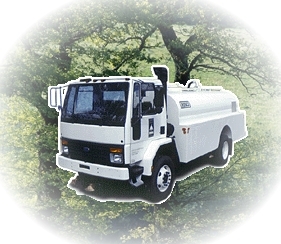 The Flowstar totalizer is installed in the cab of the truck and displays total gallons for billing. Location of the totalizer in the cab of the vehicle makes it convenient for the operator and provides a clean, dry environment for the totalizer portion of the flow system. The 2” flowmeters supplied for this application handle a flow range of 15 to 225 gpm. Surprisingly, the street flushers handle quite a sizable amount of water and are available in sizes from 1500 to 4000 gallons. 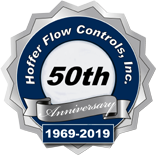 In addition to the 2″ size flowmeters supplied on the systems for the City of Greensboro, Hoffer has supplied larger size flowmeters for higher capacity cleaning equipment. The flowmeters are typically operated at pressures between 50 and 125 PSI on this type of application. The STAR Series flowmeters are supplied with NPT end connections and are rated for working pressures up to 5000 psi depending on the size of the meter. The Hoffer flow system provided an economical, robust solution for use on the street cleaning equipment. The City of Greensboro has been pleased with the performance of the flow systems. Call us today for a customized solution to your metering needs.